Grain length: grains tend to be slightly shorter than traditional rice. Some of them are even round. Stickiness: in order for the sushi to take and hold shape, the rice needs to be firm and sticky enough for the grains to stay together. 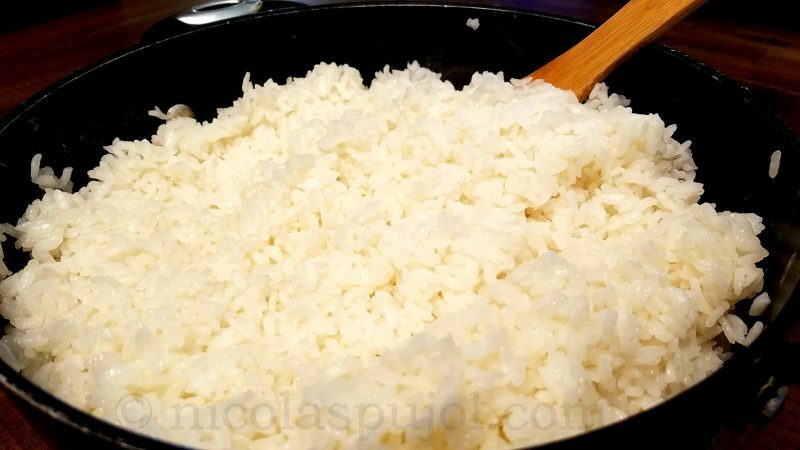 Added flavors: sushi rice is usually made by adding rice vinegar, salt and a little bit of sugar. This week I used sushi rice to make natto ochazuke, and I cooked 4 cups of dried rice volume. There are folks who recommend making no more than 2 cups of rice at a time, to get the perfect consistency. 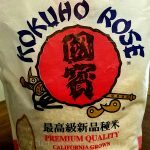 The thinking process is that if too much rice volume is produced, the one at the bottom deteriorates, or the added ingredients have a hard time mixing in. 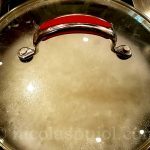 I found no such issues with 4 cups of dry rice, which made a full pan that our family of 4 used for several dishes. Therefore, 2-4 cups of dry rice seem to be the right balance – I have not tested higher quantities. 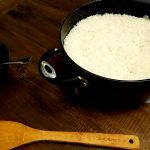 The main thing to consider when making sushi rice is to keep enough clearance at the top of the pot or pan, in order to gently stir it once you add in the rice vinegar and sugar mix. The rice volume will rise from the resulting aeration. Sushi rice is prepared with rice vinegar and a little bit of sugar, giving it its distinct flavor. 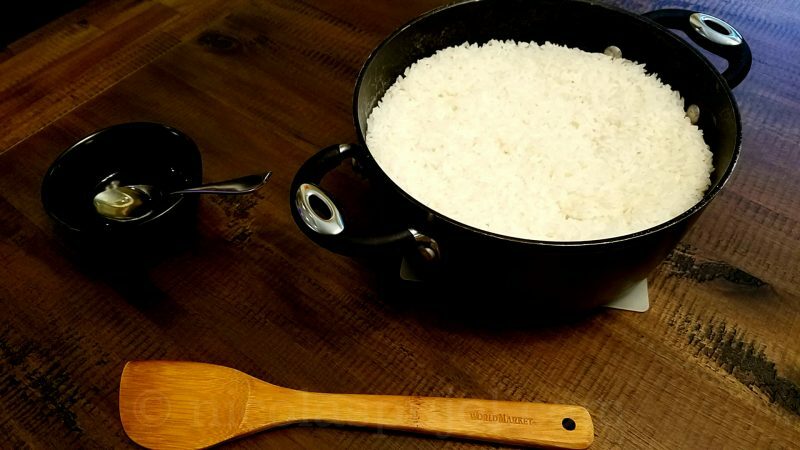 Here is how to make sushi rice on stove top. Use preferably the sushi rice type, which has shorter grains and a stickier consistency. Bring water to boil and add salt. 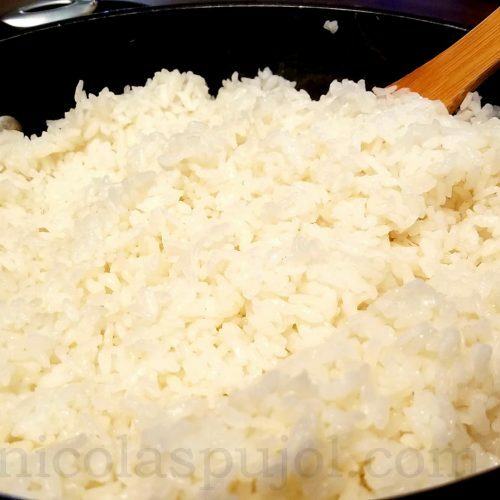 Add the rice to boiling water, stir and reduce to simmer for 20 minutes. 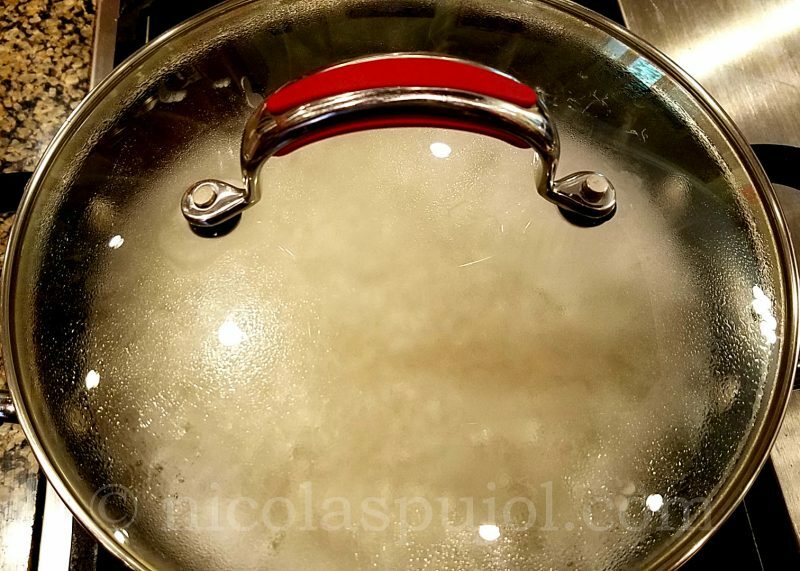 During this time, prepare the seasoning in a small bowl by diluting the sugar in the rice vinegar. Slowly stir for a few minutes, there should be no sugar grain or solid left. Stop to heat and let the rice finish cooking for 10 more minutes. 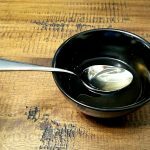 With a teaspoon, sprinkle the rice vinegar and sugar mix on top of the sushi rice, then stir slowly and fully to mix the seasoning in.